They are very comfortable and their colour is much nicer in real life. 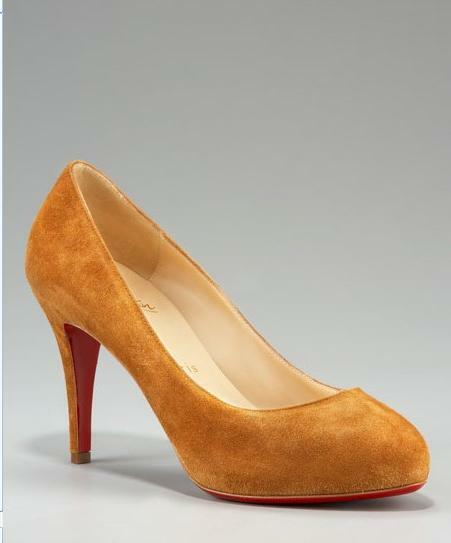 This entry was posted in Fashion and tagged Christian Louboutin, Pumps. Bookmark the permalink. I definitely like the style of the heel itself, however, I don’t think I’m sold on the color unless it looks different as you stated in person. It’s a very different color for a pump. However, because those are Christian Louboutins, they must be amazing for you to spend that much money on them! It’s really lovely. Thanks a lot. OMG! Amazing blog! You contacted us awhile back and we are still waiting to hear from you… publish away girl, we would be proud! Have a fantabolous hair day!